Jeff Tweedy has been navigating his band Wilco through various musical waters since 1995 with some drastic line-up changes along the way. With the release of The Whole Love, the third studio recording with his current lineup, Wilco finally emerges with a logical follow-up to the excellent, organic folk-rooted Sky Blue Sky, released in 2007. While the previous effort, Wilco (The Album), was deeply shaped and influenced by Tweedy's sudden involvement in Neil Finn's 7 Worlds Collide project in New Zealand, resulting in a hemmed-in and restricted sound, The Whole Love is more expansive, allowing the band the freedom to fully mesh. The new record is divided between more upbeat pop numbers and folk-based, alt.-country ballads. On the slashing rocker "Super O," the band executes fast-paced chords with a sharp precision reminiscent of Elton John's "Saturday Night's Alright For Fighting," while keeping things loose, avoiding a shiny polish. With the upbeat songs, like the bouncy ‘80s New Wave of "I Might" or the infectious hooks of "Dawned on Me," it is easy to overlook Tweedy's deceptive lyrics, often filled with nagging doubt and slow discovery. "Every night is a test," Tweedy sings in "Dawned on Me." "I can't help it that I'm fallin'/ in love with you again I'm callin'/ just to let you know/ it dawned on me." Though "Black Moon" and "Red Rising Lung" inhabit lonely places, familiar spaces in Tweedy's previous work, the execution shows a superior craft with the entire band contributing subtle touches that lend to the compositions' elegant arrangements. Polar pinnacles book-end the recording. The opener, "Art of Almost," succeeds in lifting itself from a fog that plagued Tweedy's previous attempts at combining industrial texture with a pop melody. Here, he simply allows the band's clarity and confidence to shine (including guitarist Nels Cline's shredding rave-up ending). The result: Wilco hits a plateau that it never reached before. The other pinnacle arrives with the closing cut, "One Sunday Morning (Song For Jane Smiley's Boyfriend)," based on an actual conversation that took place between Tweedy and the author's farmer-partner. Here Tweedy re-explores certain ‘70s German krautrock structures (minimal repeating figures) inserting them within a folk context. The song's 12-minute length is justified; it allows the music to serve as a metaphor for the subtle passing of a single day, as perhaps a farmer would -- sun up, sun down. The Whole Love may not match the overall brilliance of 2002's Yankee Hotel Foxtrot, though its significance shouldn't be diminished. 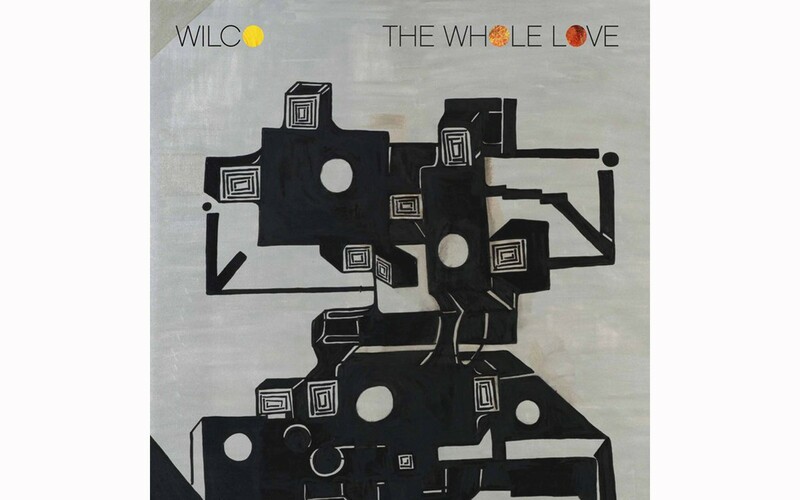 The Whole Love is Wilco's most confident release from this present-day formation, allowing Tweedy the tools and ability to articulate his intriguing 16-year journey and unique evolution.